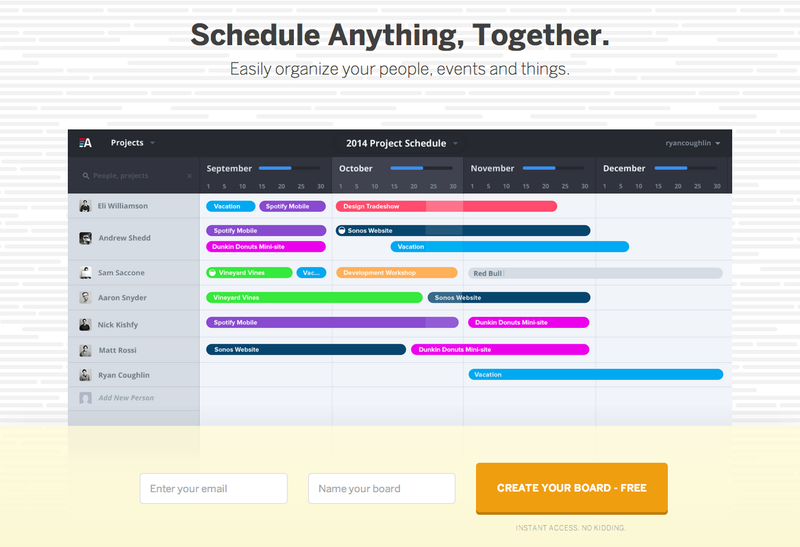 Easily organize your people, events and things. As you know, Allocate was built to simplify scheduling as it applies to our own business--software development. That personal, agency-focused perspective shaped Allocate’s early feature set and messaging, but since our release, we’ve heard from users across many industries: pharmaceuticals, law, architecture and even a printer. Getting to know our user base helped us realize that Allocate could be really useful to anyone who has resources they need to book. We’ve now seen Allocate used for tracking year-long pharmaceutical launches, assigning legal associates to cases, allocating architects to projects, and physical equipment to booked orders. We realized our marketing message, focused on agencies, was excluding a variety of other applications. So while our marketing page was due for a design upgrade, we decided to open up the messaging a bit to include some other industries. The broader approach has certainly been successful before. Trello does an excellent job of marketing their organizational tool across use cases. So do Wunderlist and Evernote. Check out our update here. We were even able to collect some nice testimonials from our favorite managers in a couple different industries. Why now? Allocate’s a young concept that we’re still working to validate. While we’re sifting out our best target audiences, it makes sense take a more broad approach and narrow from there, rather than refine the narrow, agency-focused scope that we launched with. Does this affect current users? Nope--that’s how flexible Allocate is. Except for an adjustment to what we call your resources (they’re not always people! ), you won’t notice any changes to the app. Your thoughts and feedback are always welcome! Sign up for Allocate. | Follow us @AllocateHQ. Since Allocate has such a simple, straight forward scheduling interface, I wanted to share a bit about how it can be used for scheduling equipment. If your job is to manage scheduling of any sort of equipment, workspace or locations that are booked in daily, weekly, or monthly chunks, Allocate is going to help simplify not only the tracking, but also the sharing of that information across your team. 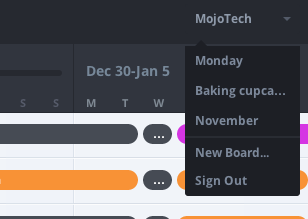 It’s fast to set up--just type your resources in the first column, and click in the calendar to add allocations for the days it’s already booked. Allocate comes ready to go with a monthly and weekly calendar grid aligned next to your list of resources. Track availability of any type of resource, and share that information seamlessly with your other managers. Allocate updates in real time, so if they have the app open in their browser, they’ll see your change immediately. Are you using Allocate to schedule equipment, workspace or another non-human resource? Let me know how it’s working out for you! It’s been five months since I started as Product Manager for Allocate (MojoTech’s super-simple resource planning app). What have I learned? One trend that stood out was that users were signing up, but not staying on to actively use the app - even though it was free. This told us that people were definitely looking for an easy scheduling tool, but that Allocate wasn’t everything they’d hoped it would be. We needed to fix that! The first step was to speak to our beta users. They gave us great feedback on features large and small that they were looking for, like the ability to “zoom out” to a month view. Next we tackled speed and performance issues and some key UX and UI pain points that we heard consistently. Importantly we also added event tracking across the app to see how people really used Allocate. This helped us get to the point where we were confident that Allocate was a tool that would help businesses tackle resource scheduling and be worth paying for! So let’s take a look at how things have changed in terms of active scheduling boards, user actions, time on the app and bounce rate - all measures of user engagement. • We use Google Analytics to track events. 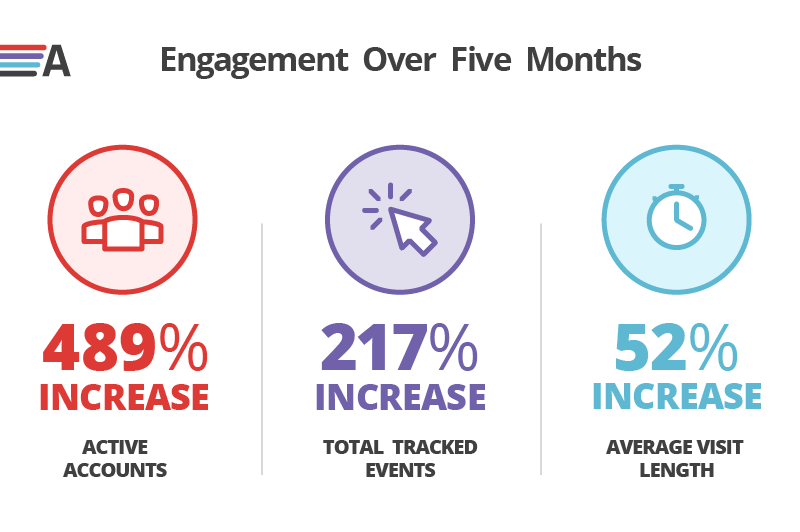 We do this not only to see how users are interacting with the app, but also to track the amount of logged-in activity that is occurring on our account pages. Let’s define an “active account” as an account page that sees at least 4 visits a month where least one event occurs - like scrolling or changing an Allocation. Using that benchmark, we have seen our number of active account pages increase 70% since October, with an especially nice jump from December to January. If we go back five months, active accounts have quadrupled. • Google Analytics also gives us an average visit duration. From August through October this was consistent at around 5 minutes. In November, after we released some nice usability fixes, it doubled to 10:27; 11:36 in December; and 8:42 in January for a healthy 52% increase overall. Total tracked events on the site follows basically the same curve. • GoSquared shows us our bounce rate has decreased at a steady rate since the fall, ending 16% lower in January. Traffic has increased a bit during this time too, and our conversion rate has been consistent. The decreased bounce rate is great, and has been boosted by previously onboarded users returning to their dormant accounts. Our users are staying on the site longer and performing more actions while they’re around. The November-December engagement increases line up with some nice performance enhancements and UI adjustments that definitely made the app faster and easier to use. Allocate is on its way to being a really powerful tool, and there are plenty more features that have been requested that we know will help anyone schedule and plan more efficiently. We are also adding a little polish to our marketing site to attract even more users - and more invaluable feedback to help us build better product. As always, feel free to share your thoughts on this subject or any questions/suggestions for Allocate here in the comments. Editing your Allocations just got prettier. Today we released a prettier allocation editing pop-up tool! You can still quickly split, edit and delete your allocations just by clicking on the bubble. In this iteration, we’ve added notes to that same tool, as well as a shortcut to your project settings--that’s where you can change the color and project-wide attributes and notes. Click on the allocation bubble you’d like to change. Type in a different project name to change this person’s project. “Split” will split this bubble in two--great for inserting a vacation or holiday. “Delete” will make this bubble go away (without affecting any others). “Settings” opens the project-wide settings and sorts to just this project (Click the X on the dropdown or press ESC close it). And, type in the “Notes” area to add any comments about this particular allocation. Tip: Take full advantage of your remaining free weeks by creating additional boards--they’re great for visualizing potential changes that aren’t yet firmed up. From the account dropdown in the top right, click “New Board…” to start a fresh screen. Tweet us a pic for a chance to win Allocate Premium! In celebration of our launch this week, we're giving away a year of Allocate Premium to one of the lucky users that Tweets us a pick of how their team uses Allocate. So boot up your group's schedule, gather the team, and shoot a pic on over to @AllocateHQ using #giveaway. We'll announce a random winner next Friday, January 24th! 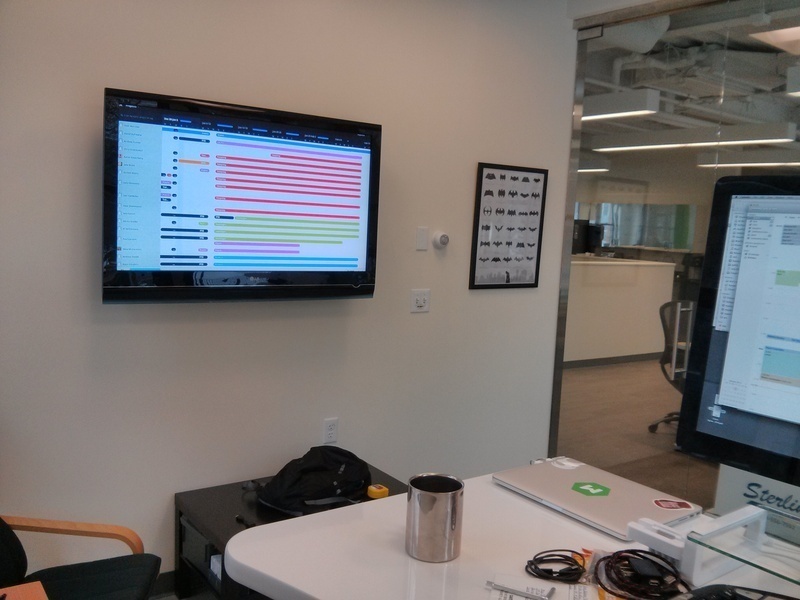 When we started building Allocate to replace our scheduling spreadsheet, we knew we were onto something. We couldn’t find a simple, collaborative, calendar grid that we actually enjoyed using. Now, thanks to all of our Beta users’ amazing feedback and support, we’re pleased to announce that we’re releasing Allocate’s full version today! And, as all good things must come to an end, this release concludes our Beta program. If you’re currently a Beta user, your 30-day trial starts today. However, read on to see how you can enter to win a year of Allocate Premium, and continue using it for free until 2015! Our flexible subscription model is now available--remember you still have 30 days before you’ll be asked to pick one. Small teams of three or less will be able to continue using Allocate for free. Want to win a free year of Allocate Premium? Get your cameras ready! We’d love to see how you’re using Allocate at your scheduling meetings, and help one of our early users get Allocate Premium free for one year. Tweet us a pic of your team scheduling with @AllocateHQ AND #giveaway mentioned. We’ll announce a random winner next Friday January 24th! As always, please shoot any issues, feedback or questions my way any time. You asked and we listened. A zoomed-out view of your schedule several months out was your top Allocate feature request. And today, with just a click of the Month button, you can now peer into the future of your team’s utilization. Tip: Add, delete and adjust longer allocations from your Month view. Head back to your Week view to see Notes and shorter vacations and holidays. With our sights set on a brighter, more successful year ahead, a lot of us are open to new ways to help meet our goals and improve efficiency at work. Are you exploring new tools to help get your house in order this year? If resource management is at the top of your list of things to streamline in 2014, give Allocate a spin! It’s super easy to get started: just sign up with your email and company name. Add a person, add a project, and you’re allocating! As soon as you have your current work lined up, you’ll be able to see who’s available when. Wouldn’t immediate access to your team’s availability be a nice New Year’s boost for your business development team? In this series, we’re sharing MojoTech’s experiences around creating and using Allocate. We’ve learned a lot about resource scheduling along the way, and hope to help agencies like us with these lessons, too. In Part 4, we'd like to explore the "stocking" challenges of the service business. Professional services is the ultimate expression of supply and demand. Our inventory is made up of humans, which makes for a much less flexible stocking system. It’s not easy to adjust your supply the same way a physical goods producer would simply order more components or advertise a sale to adjust for the market’s demand. To account for this inflexibility, you need to plan ahead. Just as important as it is for you to see who is doing what, you need to know who is doing nothing. This is your excess inventory. Just as a widget producer is likely paying storage and interest on his components, you are paying salaries and benefits. However, you can’t exactly have a fire sale on your services. Since you’re working with humans, you need to plan ahead to make sure either everyone is busy, or that staffing changes are in the works. Example: Baxter is unallocated as of January 13th. Give Baxter a “project” called “UNALLOCATED” so that it’s clear to the other managers that this person does not have a client project, and so that you’ll be able to find your underutilized team members quickly. Set the project to not be counted towards utilized time, and give it a special color, like grey. Add the project to any people with upcoming availability you’d like to easily track. Use the filter to find everyone with “UNALLOCATED” scheduled so that you can quickly assign them something else instead. Note that Winston and Emma, with sufficient client work, are removed from this view to help you focus on the team members without billable projects. → These “unallocated” resources will help business development know where to sell more aggressively, and will help you prioritize work on your internal projects. Allocate is a verb for a reason. So schedule your future projects, mark your unutilized people, pay attention to your growth rate and start projecting! Subscribe to the blog so that you don't miss out! Next time we’ll talk more about how to effectively use the time of the unallocated. Allocate - Get the app!